Part A is hospital insurance that helps pay for inpatient care in a hospital or skilled nursing facility, some home health care, and hospice care. Part B is medical insurance that helps pay for visits to doctors and other health care providers, outpatient care, some home health care, durable medical equipment, and some preventive services. 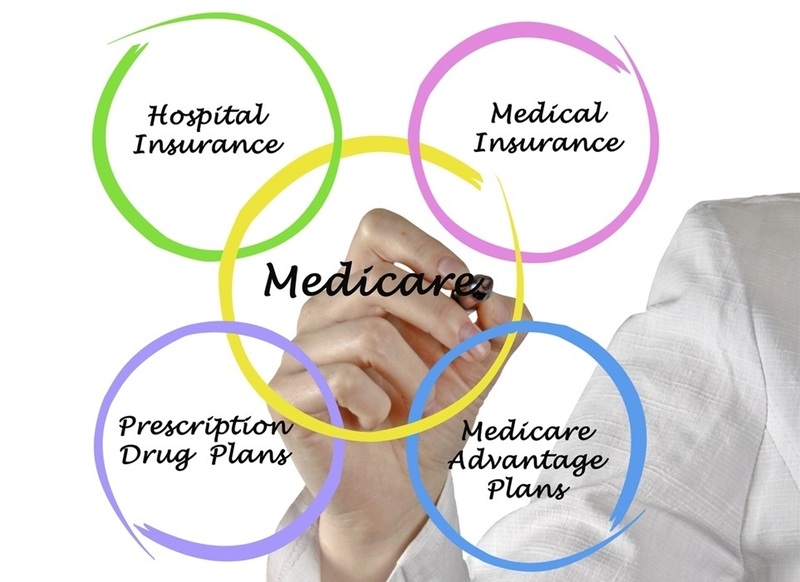 Part C Medicare Advantage (MA) plans are approved third-party health plans that combine Part A and Part B coverage and may include prescription drug coverage as well.Premiums and benefits vary widely, so it's a good idea to compare plans and networks in your area. Part D helps pay for the cost of prescription drugs. You can pay for these services out of pocket or sign up for a Medicare Health Plan that covers additional services. 2. How much will I pay in Medicare premiums? Most people don't have to pay premiums for Part A if they (or their spouse) worked and paid Medicare taxes.You will have to pay a premium for Part B; if your annual income is above a certain level, you may have to pay an additional monthly charge. Premiums for Part C and Part D vary by plan. 3. Do I have to enroll in Medicare if I am still working? Not necessarily. If your employer has 20 or more employees eligible for health insurance coverage, and the coverage is similar to Medicare, you can delay enrolling in Medicare Part B without penalty, even if you are over age 65.You can also choose to enroll in Medicare to fill in any gaps in your employer's health insurance plan. 4. Is Medicare enrollment automatic? Not always. If you are already age 65 or older, you are automatically enrolled in Medicare Part A and Part B if you claim Social Security benefits, even if you later suspend your benefits. Otherwise, Medicare rules require you to sign up for Medicare during the three months before the month of your 65th birthday and the three months after, even if you're not retired (unless your employer plan qualifies). Failing to enroll during that initial enrollment period can be costly because your Medicare premiums may go up. If you missed your window, you can sign up during the general enrollment period between January 1 and March 31 each year. If you were eligible for coverage under a group health insurance plan, you are entitled to an eight-month special enrollment period starting the month after you stop working. Keep in mind that COBRA and retiree health plans are not considered eligible coverage, and you will not qualify for a special enrollment period once that coverage ends. 5. Can I make contributions to an employer-sponsored Health Savings Account if I am on Medicare? No. IRS regulations prohibit you from contributing to an HSA once you are enrolled in Medicare.You can draw down money that you have already contributed to the account, but you cannot make any additional contributions. You may be able to use HSA distributions to pay some premiums and out-of-pocket expenses related to Medicare, though you should check with a qualified tax advisor first. Navigating the maze of Medicare can be daunting, and we'd like to offer ourselves as a resource - all offered completely complimentary. We can help clients strategize for their potential health care cost options in retirement and create strategies that best fit their goals and needs. We also will provide reviews of your current coverage and do an analysis to minimize your out of pocket expenses. If you have questions about your options in Medicare, please contact our office. You could also get more information by attending one of our Medicare Educational classes.